I can’t believe that we’ve reached this far and I know we still have lots of things to do together. 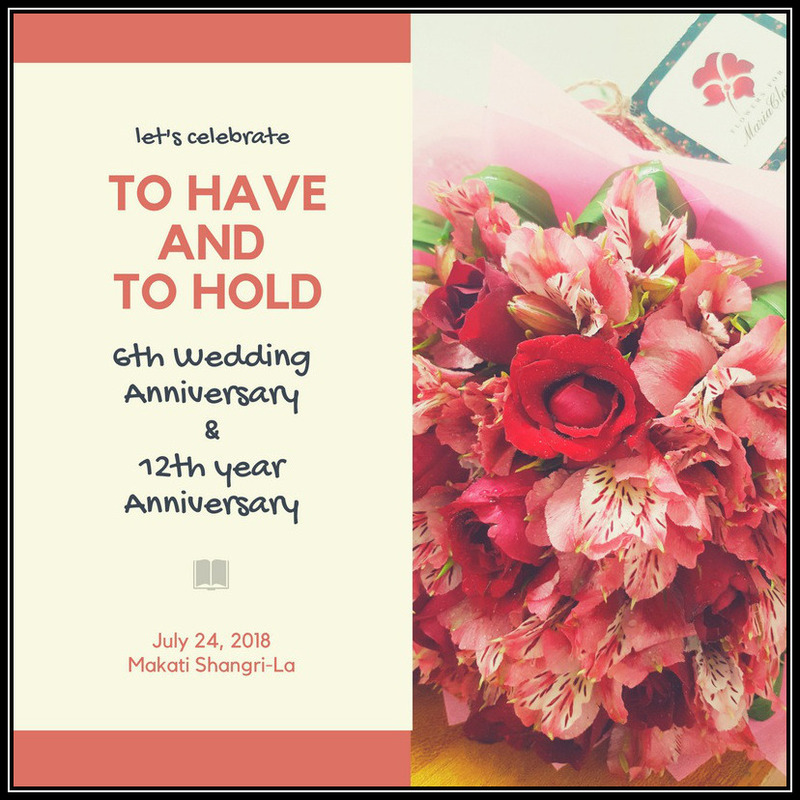 Actually I don’t have any plans to post about our anniversary, kaya lang may supresa na naman si mayor eh and I want to remember this event in the future at kung gano ka sweet ang asawa ko. Naks! Our initial plan is to go out of town for two days just me and my husband somewhere in south, but unfortunately two of my bosses didn’t allow me to take a vacation leave because of the board meeting at dahil ayokong mawalan ng trabaho, kinancel ko leave ko. 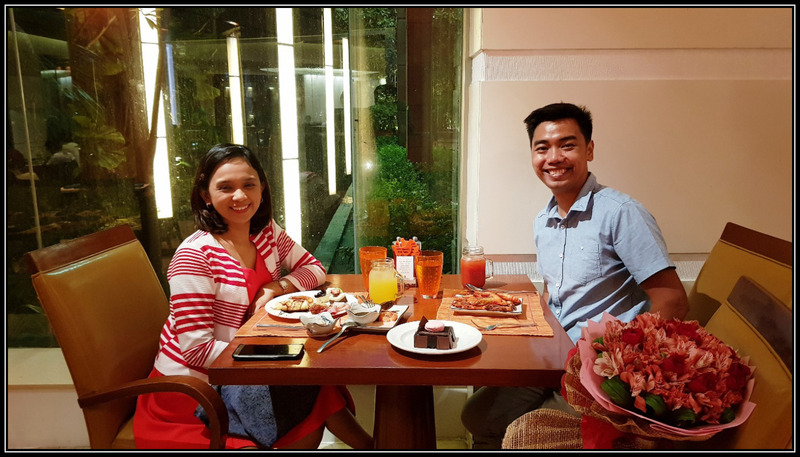 So we decided to look for best and romantic place for dinner instead, our first choice is the Spiral Buffet at Sofitel Manila but upon checking their rates, grabe ang mahal! OA talaga and since we are on a very tight budget we crossed out Spiral on our list. We checked Deal Grocer and Metrodeal for promos but none of them passed our standards (may ganon factor. Haha. Either malayo kasi sa place namin or pricey masyado). Two days before our anniversary, Ian got sick because of the weather. We forgot to finalized what we are going to do on our anniversary, syempre I need to take care of him and most of the time nagpapahinga and natutulog lang sya. 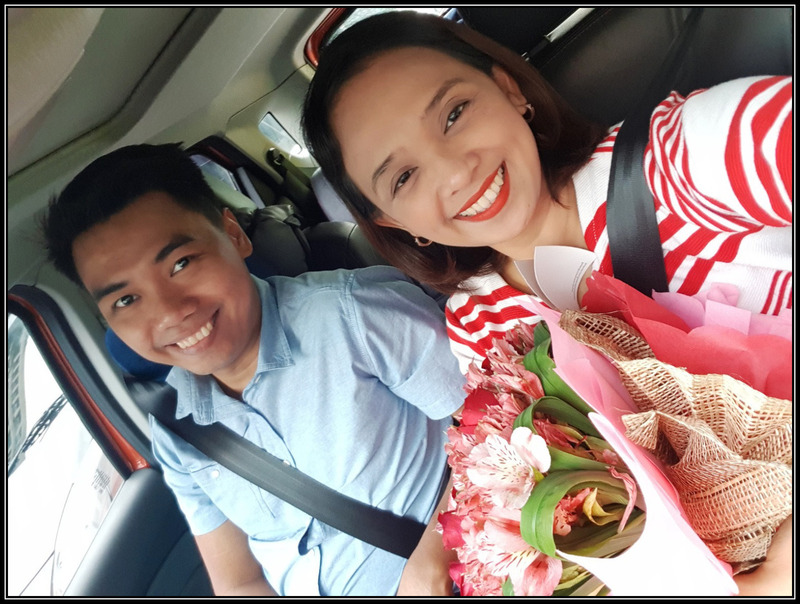 On the day of our anniversary, he decided to take half day leave para mas makapagpahinga sya, and as a wife I told him na to stay nalang sa bahay and magpadeliver nalang ng food for us. 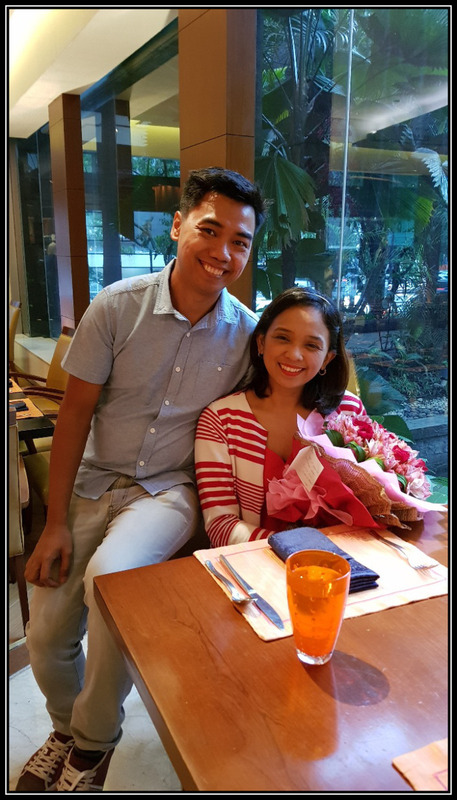 But nasa dugo na ata talaga ng asawa ko ang bigyan ako ng surprises every special occasion. So how he surprised me kahit na may sakit sya, ganito yan let me share you what happened. I arrived early at the office, ate my breakfast and fix myself before start working. 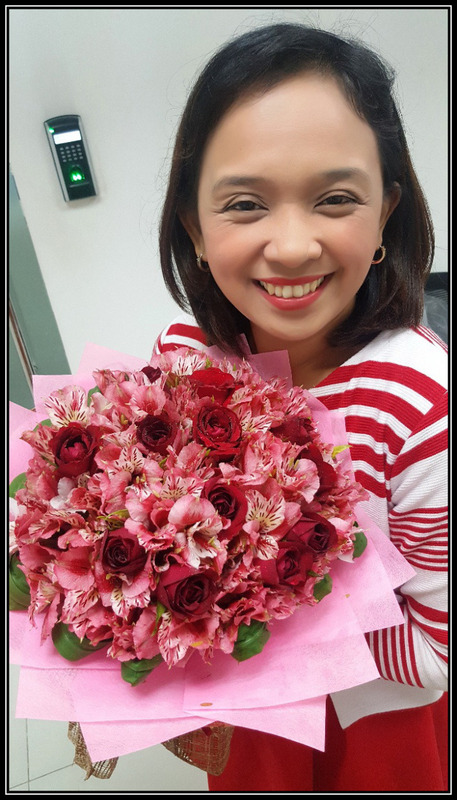 Around 9am, our receptionist called and told me that someone is looking for me, since most of the time meron akong nirereceived na documents for my boss, I immediately went out and to my surprise may bumulaga sa aking bouquet of flowers. Wow! Just Wow! Pati receptionist namin kinilig sa mga pangyayari. I didn’t expect anything from my husband since he’s sick but he never fails to surprise me. 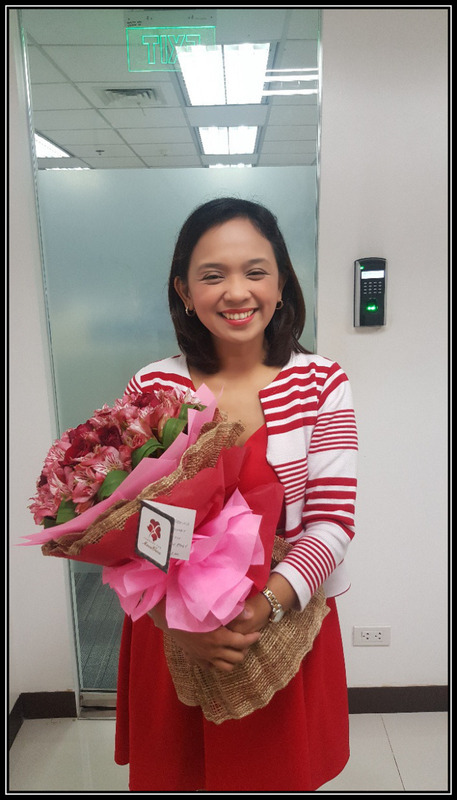 My husband really knows me very well kasi alam na alam nya na mahilig ako sa flowers kaya eto he gave me bouquet of red roses on our special day. Ang sweet, right guys?! 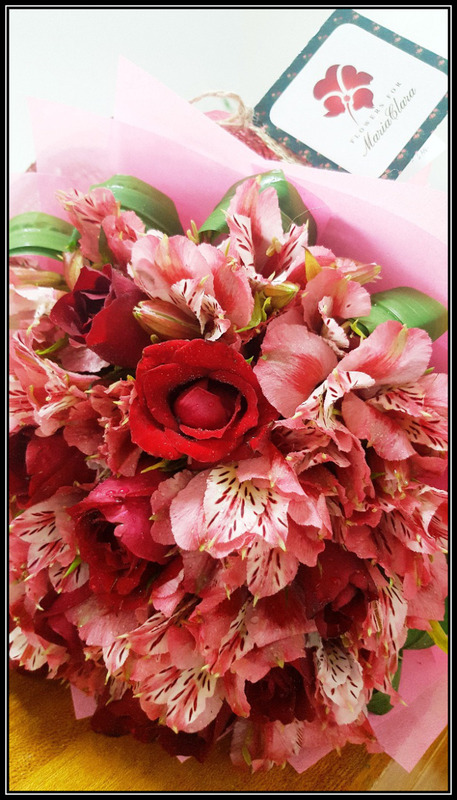 Alam nyo naman na most of the girls, love flowers and nakakadagdag yun sa pogi points nyo. Maniwala kayo! Haha. So look at me today, blooming na blooming daw ako. Feeling dalaga kasi ako ngayon eh. Hehe. After office my husband told me na di na daw sya papasok and susunduin nalang nya sa office. Wow! Haba ng hair ko, may pasundo sundo pa si mayor. Hehe. While inside the car, I really have no idea where are we going, until we reach Makati Shangri-La, dito daw kami mag didinner. Naks! 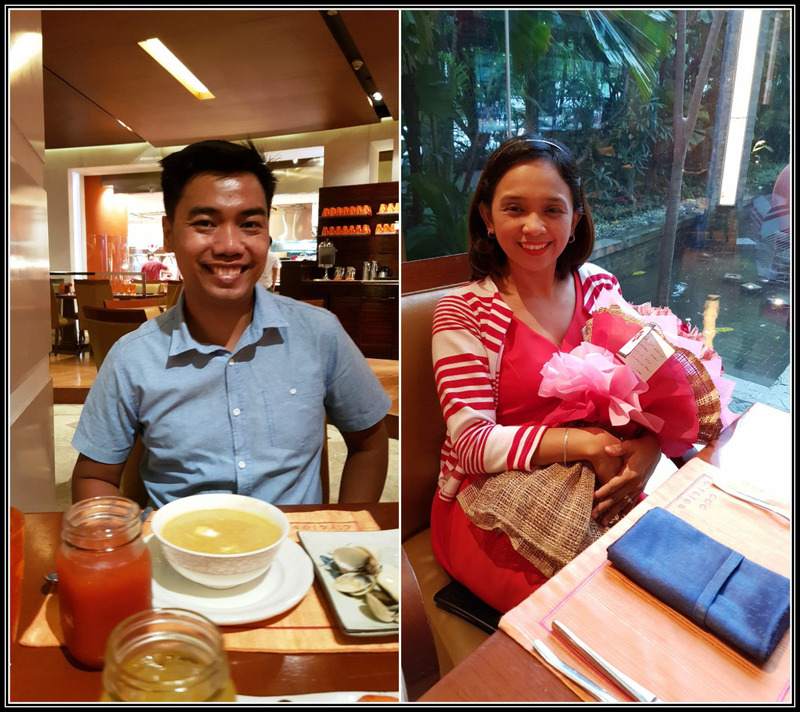 Anniversary celebration is the main reason to spend on a buffet and so we’re having our buffet dinner at Circles Event Café. Yes! Buffet sya and hindi plated since napaka hilig namin kumain ni Ian and we love buffet! Good thing, they offer discount from June to July. 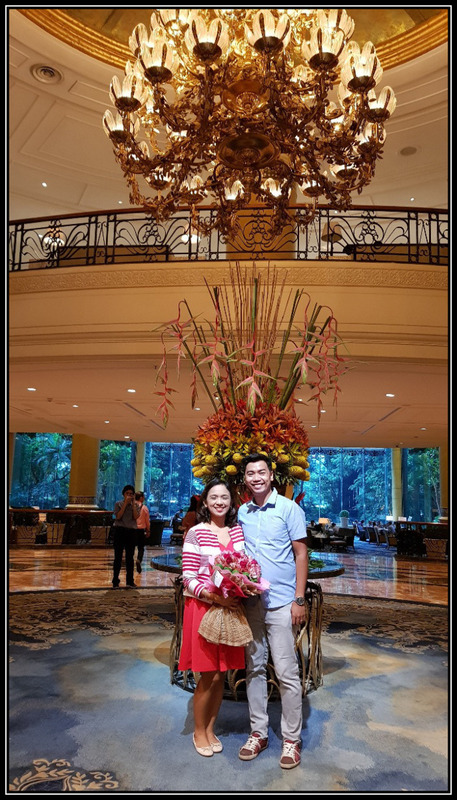 This is our first time to dine in Makati Shangri-La so imagine our excitement when we arrived. At Circles Event Café, you can savour a sumptuous lunch or dinner buffet for only Php 1,250 net. You can enjoy an array of Asian and Western cuisines presented at live theatre kitchens and wide array of desserts. My husband did the reservation; we were seated near the windows where the lighting is good. I loved the simple but still stylish table setting which brings warm vibe to the guests. The servers are very attentive, friendly and accommodating. Their food delicious but for me the dessert station was the best though. I will try my best to make review about this restaurant, but for now let me share with you some of our precious and memorable photos. Naks! I believe that the greatest marriages are built on teamwork, mutual respect, healthy dose of admiration and of course, a never-ending pure love and happiness. Ian and I have strong foundations because we put God in the center of our relationship that’s why no amount of damage can break that particular thing. We are one team working towards constantly uplifting, supporting and respecting each other. Marriage doesn't make you happy - you make your marriage happy, kaya nga kami may #MarriageFirstFriday.